I PROMISE THEY WILL NOT RUST IN A FEW MONTHS LIKE THE OTHERS OUT THERE. 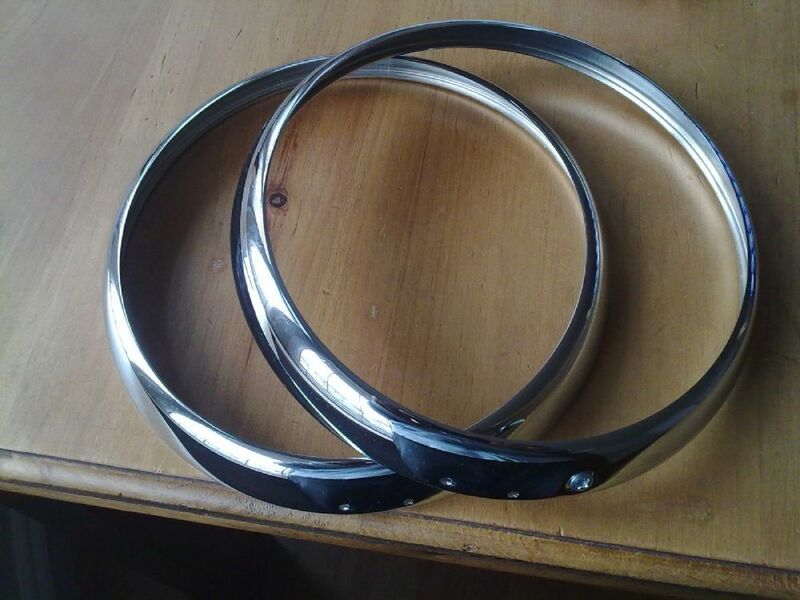 THESE ARE THE MORE SORT AFTER TYPE, TRIPLE PLATED CHROME, AS APPOSED TO THE CHEAPO REPRODUCTIONS AND THE NOT SO CHEAP REPRODUCTIONS ON SALE ELSEWHERE. WEDO NOT GIVE LIP SERVICE, WE GIVE PREMIUM QUALITY PARTS. FOR THIS SALE YOU ARE BUYING THE PAIR.